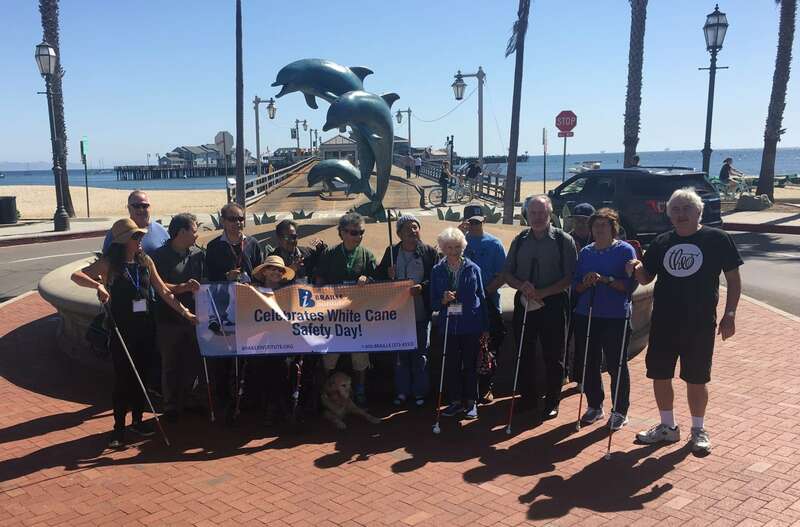 Members of the Santa Barbara Braille Institute walked downtown on White Cane Safety Day to raise awareness on the importance of the white cane’s practical use as a tool for enhanced mobility and symbolism of independence to the visually impaired. Students and staff members representing the Braille Institute resembled a family as they talked and laughed with one another. Surrounding pedestrians admired the students’ bravery and commitment as they carried the White Cane Safety banner along the sidewalk. Ortega experienced losing her sight at an older age rather than at birth, challenging her to learn how to perform day-to-day activities without her vision. 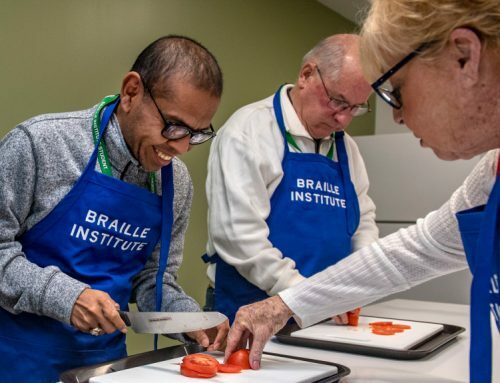 The Braille Institute is a place that really does exemplify the meaning of community to the fullest extent. 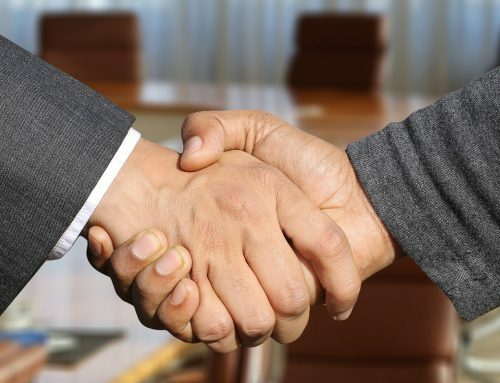 They offer free programs and services in low vision rehabilitation, expand public education about visually impaired people, and build braille literacy. Thanks to a group of committed people in the 1960’s, National White Cane Safety Day was effectively established. According to the National Federation of the Blind, back in 1964 the National Convention of the Blind assembled and called upon governors to proclaim October 15th of each year as White Cane Safety Day in each of our fifty states. On October 6, 1964, President Lyndon B. Johnson passed legislation to enact this upright request. Johnson commended the blind for the “growing spirit of independence and the increased determination to be self-reliant that the organized blind had shown”. 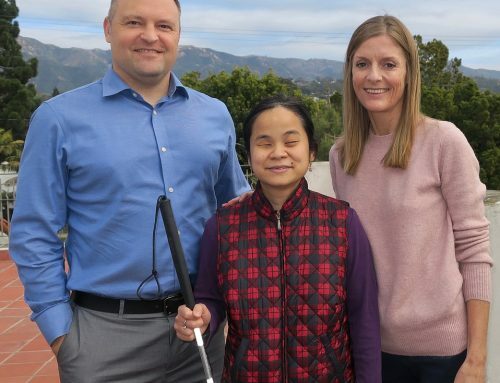 Not only does the white cane act like a physical radar for blind people, but it also serves as a sign to others to show special consideration and courtesy. The White Cane Law states that a totally or partially blind pedestrian who is carrying a predominately white cane, or using a guide dog, shall have the right-of-way. The driver of any vehicle approaching this pedestrian who fails to yield the right-of way, or take all responsibility necessary precautions to avoid injury to this blind pedestrian is guilty of a misdemeanor. Public awareness events such as this one are worthwhile to experience because they remind others of both the adversities and independent mobility of the visually impaired. The more educated people are about the hardships and perseverance of visually impaired people, the closer the community will become. 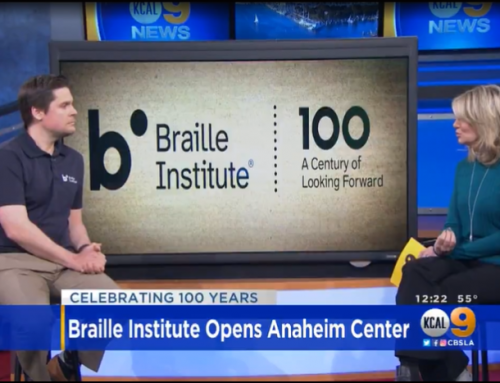 The Braille Institute encourages everyone to learn more about their causes, classes, and overall unique position in the Santa Barbara community.